We are excited to announce Brian Pinkerton as our Chief Technology Officer. Brian’s first task will be building a team of world-class engineers to dive into our work in education and science, creating cutting edge tools and technologies to help advance human potential and promote equality. 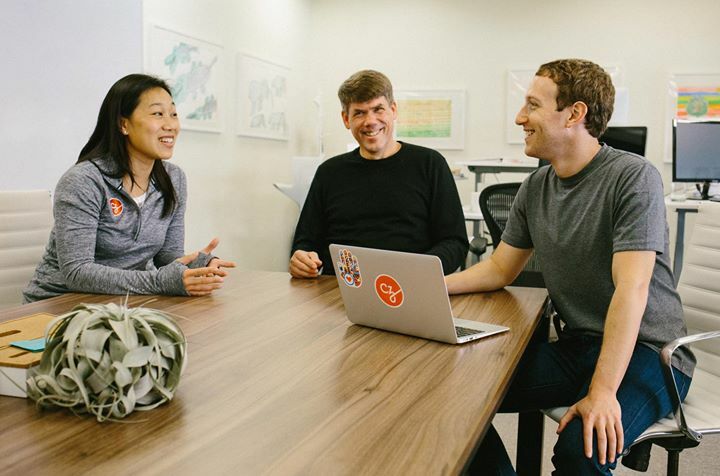 Mark Zuckerberg: Priscilla and I are excited to share that Brian Pinkerton is joining the Chan Zuckerberg Initiative as Chief Technology Officer. Our approach is to use engineering to create social change. This is different from most philanthropy. Lots of people invest capital and hard work, but when you can also do engineering to build tools to empower people to make changes themselves, that’s when social change can really scale. That’s what we’re doing to help teachers bring personalized learning tools into hundreds of schools. That’s what we’re doing to help scientists build new tools that can help cure, prevent and manage all diseases within our children’s lifetime. Bringing engineering to social change is the basic idea of our work, and one of the unique capabilities we can provide. Building a world-class engineering team starts with a great leader. Brian is a great engineering leader who I’ve wanted to work with for a long time. He has been the Vice President of Search at Amazon and the General Manager of Amazon’s search and ad technology group. He has been working on important technology problems for 20 years, including building software and tools for the Department of Molecular Biology and building the first ever internet search engine, Web Crawler, while he was in his PhD program at the University of Washington. At the Chan Zuckerberg Initiative, Brian’s job will be to build a world-class engineering team to help take on some of the biggest opportunities and challenges our society faces today. I’m confident that under his leadership we’ll recruit a great team and work closely with our partners to find out what tools need to be created to unlock these major opportunities to benefit everyone. On behalf of our entire team, I want to welcome Brian to the Chan Zuckerberg Initiative. I’m looking forward to working with him as we redefine the intersection of engineering and social change.